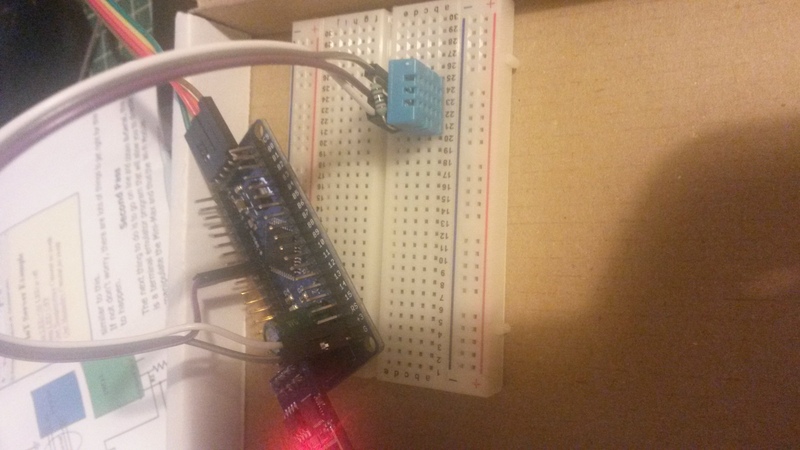 I recently bought a Internet of Things kit from byvac electronics and was surprised how easy it was to push data to my Things speak account with just a few lines of code !. 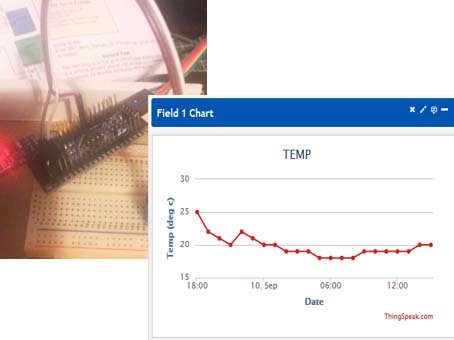 The kit itself is made up of a dev board with an ESP8266 connected , USB to serial converter , breadboard and various components to try such as leds, switches and a temperature sensor. The devboard runs byvacs own by pic basic language and doesn’t require any IDE software to program as it can be programmed from any serial terminal. The board spec is pretty impressive 2uarts (x1 used for esp8266), i2c ,10ai’s , running at 40mhz . Example: updating things speak account with room temperature. 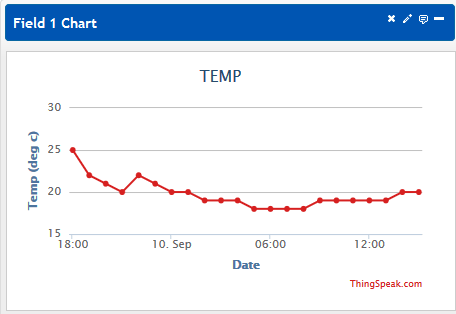 Thingspeak.com is a free service that allows anything with an internet connection to send data that can be put on graphs and gauges on you own profile. This means you could login anywhere in the world and view your data. Give field1 a name such as “Temp deg C” ect and field 2 as humidity. 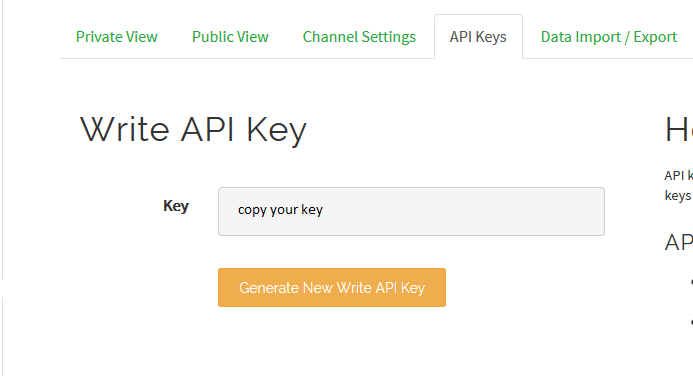 Then click on API key tab to get your channel key .select and Copy you key. Your now done setting up things speak account. Connection diagrams are supplied with the internet of things kit and also on the bypic website. if isIP() = 0 then // check wifi connection ! print "\nUnable to get IP address try re connecting!" 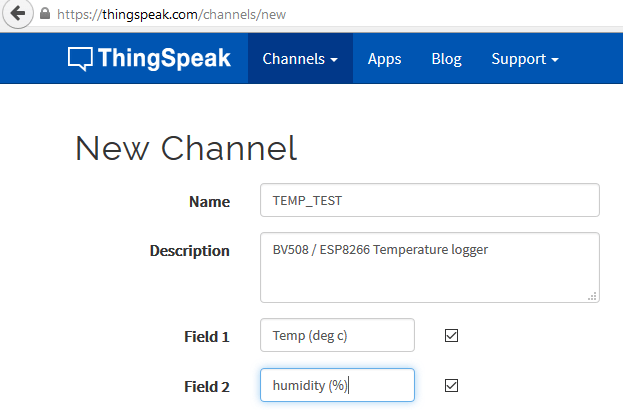 // Send request to thingspeak ***Add your API KEY ! get_temp() // Read and send temp and hud ! wait(600000) // wait 10mins very crude should use a timer ! but just an Example. 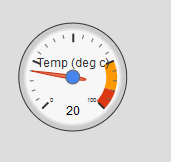 Custom Google Gauges can be also displayed or Embeded on your website but this is slightly more involved.